The way we print has been evolving into new 3D territories for some time now. The first 3D printed burst onto the scene in 1986, and boy has it come a long, long way. Nowadays, people are printing anything from makeup to toy cars, with the push of a button. With so many people rushing to this booming market, not all printers are created equal. Some are slow, don’t actually print in 3D, use low-quality materials – the list goes on and one. Enter Carbon3D. This game-changing printer is about to change every industry around us including the world of 3D printing, for the better. CREATIV Magazine: How was Carbon3D brought to 3D life? Rob Schoeben: Before our launch at TED 2015 in Vancouver, we had been in stealth mode for the past two years working on the technology. Our co-founders invented Continuous Liquid Interface Production (CLIP) in 2013 in Chapel Hill, NC. They were interestingly inspired by the Terminator 2 clip that you can see in Joe’s TED Talk. They thought, “why couldn’t a 3D printer work like what we saw with T-1000 in Terminator 2, where you have a 3D object rise from a puddle in essentially real-time with essentially no waste to make a real object?” We wanted to come up with a way to actually get this to work. That was our challenge. To make Hollywood’s fiction a reality, we brought a new perspective to traditional 3D printing. Specifically, we brought our expertise in chemistry and physics to an industry that relied on mechanical processes. Let’s face it, you’re different. 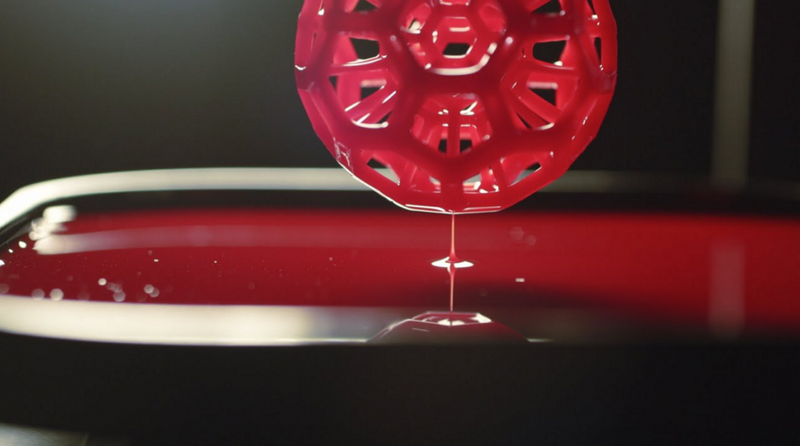 This technology is like nothing ever seen before, what impact is that having on the traditional 3D-printing processes? Existing 3D printing, or additive manufacturing technologies, are inordinately slow because it is essentially 2D printing, over and over again. As a result, 3D printed parts take many hours, even days, to produce and are mechanically weak due to their shale-like layers. 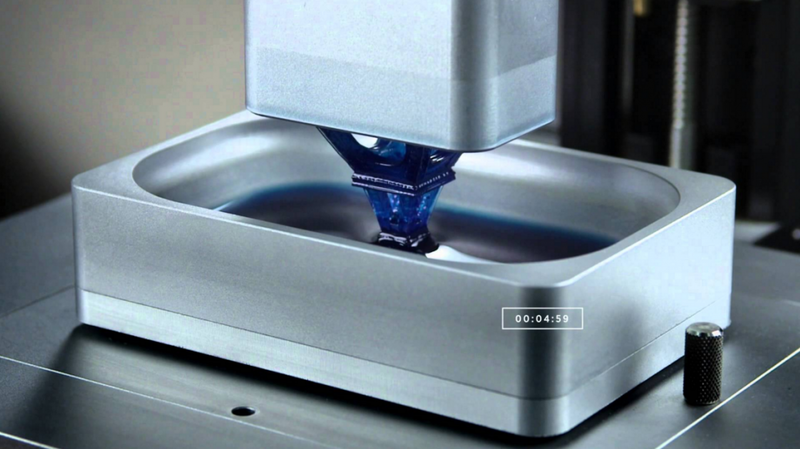 Using a tunable photochemical process instead of the traditional mechanical approach, Carbon3D’s layer-less, continuous liquid interface production technology (CLIP) eliminates these shortcomings to rapidly transform 3D models into physical objects. By carefully balancing the interaction of UV light, which triggers photo polymerization, and oxygen, which inhibits the reaction, CLIP continuously grows objects from a pool of resin at speeds 25-100 times faster than traditional 3D printing. This must have opened up a world of creativity? What types of things can you now create thanks to this new technology? Industries who rely on additive manufacturing to produce complex, high-quality parts, are in need of 3D manufacturing technology that will truly allow for real-time, efficient, distributed manufacturing. Our technology can be applied to a host of different industries, which include automotive, aerospace, industrial goods, personalized medicine, and more. We’re currently focused on polymers. In essence, we are able to throw the entire polymer chemistry textbook at this. Making parts that range from hard prototyping resins, to great elastomers, that range from materials with high elasticity for athletic shoes, or high damping for applications like engine motor mounts for vibration control; engineering resins useful for under-the-hood applications, completely biodegradable materials and materials that would be useful for casting of metal. Granted, 2015 is coming to a close, but any exciting things to look out for the next two months? We are currently focused on productizing our technology following our launch at TED. We will have a commercial machine and pricing/availability news within the next 12 months. What are your New Year’s resolutions for 2016? Any projects you are particularly excited about? We are poised to finally push 3D printing technology from the realm of basic prototyping to true 3D manufacturing. We have an opportunity to create an accessible 3D manufacturing platform that allows businesses of all sizes to tap the incredible potential of 3D printing without the traditional speed, quality and material choice compromises. By doing so we will allow customers around the world to connect the digital thread from design through prototyping to manufacturing.